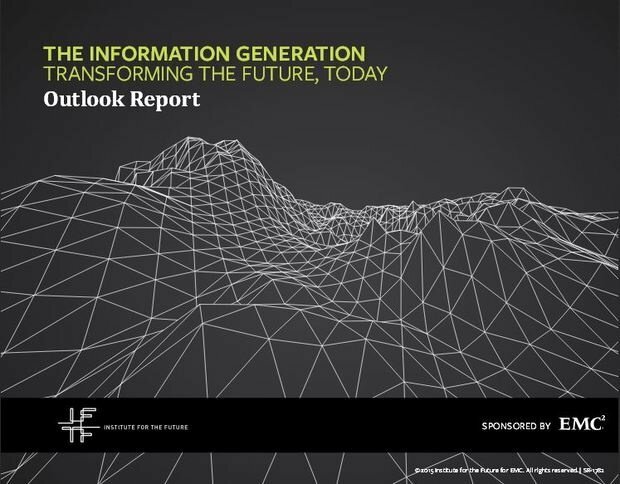 Business leaders cite 5 make or break attributes to cope with "Information Generation". Research reveals few can keep up with digital demands. A new study, The Information Generation: Transforming The Future, Today, explores the impact of a growing global community of digital citizens. These individuals are always connected and engaged online, and have the world’s information at their fingertips. They also view the world very differently. Based on input from 3,600 Director-to-C-Suite business leaders across 18 countries, the study reveals new expectations of these individuals and identifies the fundamental business attributes critical for organizations to successfully compete and thrive in this new landscape. Not surprisingly, nearly every business leader surveyed (96%) believes new technologies have forever changed the rules of business. In addition, 93% reported that recent technology advancements are resetting customer expectations, and nearly all say this will accelerate over the next decade. The top reported customer expectations are faster access to services, 24/7 and “everywhere” access and connectivity, access on more devices, and a more unique personalized experience. While business leaders agree these attributes are high priority, they admitted that very few have thoroughly embodied them. Specifically, when asked whether they address these attributes both very well and company-wide, only 12% said they can spot new opportunities, 9% innovate in agile ways, 14% demonstrate transparency and trust, 11% deliver personalized experience, and 12% operate in real-time. While companies brace and prepare to meet evolving customer expectations, the world is evolving at an equally rapid pace. Institute For The Future has forecast major macro shifts in how technology will continue transforming the world by 2024. There are strong signals of a move toward a world in which nearly every element of life will be data-driven. Individuals and corporations will sell, donate and trade information on open exchanges. Inanimate objects will spring to life all around us, becoming more aware, responsive and connected. Decision-making will be enhanced by artificial intelligence in ways never seen before. Information will be communicated and absorbed through multiple human senses. Customers will be able to better control their own privacy through new tools. In this new world order, value will shift from products and services to the information they generate.